With over 50 square miles of Atlantic shores, private bays, nature refuges, and inland waterways, Virginia Beach is way more than just your average coastal city. Nearly 20% of the city is H2O, and that means the opportunities for getting on or in the water go far, far beyond sitting on your beach chair. You won’t have time to cross off every nook and cranny here in Virginia’s most populous city, but you can certainly try. Here’s a list to get you started on the water — to the beach, bay, and back again. 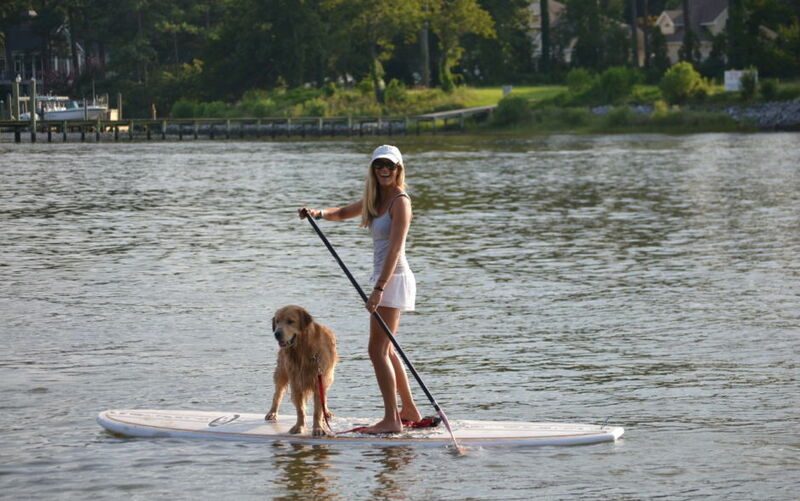 Pro tip: Once in a while there’s a “SUP with Your Pup” event, so be sure to look for dates when you can bring your furry companion with you (and you thought it was a balancing challenge before). 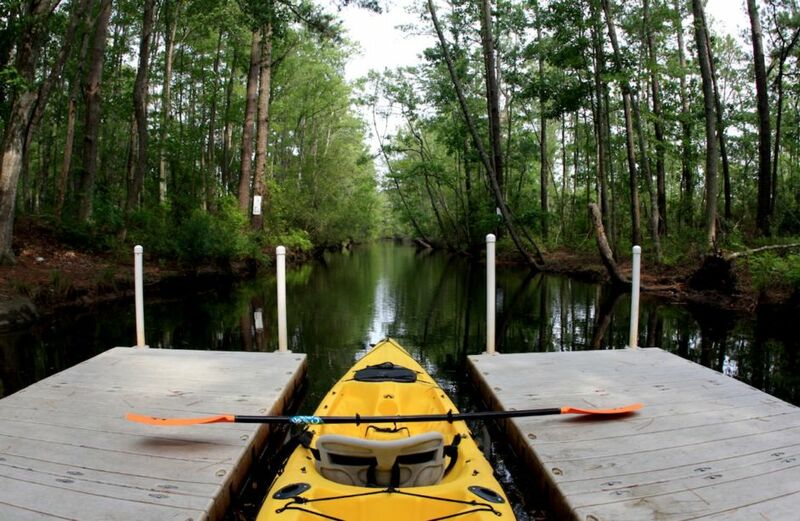 To experience the maritime nature and wildlife that Virginia Beach offers — and to explore beyond the boardwalk — make your way to the 9,250-acre Back Bay National Wildlife Refuge, just south of Sandbridge Beach. More than 300 different species of birds have been spotted here, including songbirds, shorebirds, ducks, bald eagles, and hundreds of others that’ll inevitably perk up to investigate your presence. And that’s just the birds. You can do this on your own, but arguably the best way to witness the Back Bay is on a Surf & Adventure Co. Kayak Sunset Dinner Tour. You’ll paddle through the refuge, get the chance to watch the sunset at your own speed, and then dock at Blue Pete’s Restaurant for dinner. It’s known for its succulent fresh seafood — specifically the blue crabs — and is definitely the best way to unwind after the memorable tour experience. Just south of Resort Beach is Croatan Beach, an area known for lavish vacation homes and the absolute best surf spots. Whether you’re a beginner or a Kelly Slater-type, just take a second to watch the Croatan waves. If they don’t pique your interest, not sure what will. If you’re in need of some pointers, hit up VB Surf Sessions. They keep lessons fun and safe for surfers of all ages and skill levels (adults sign up as often as kids). Before you know it, you’ll be standing up, carving waves, and paddling back out for more. Don’t even think about settling for a drone video later — parasailing is the way to get the most memorable (and picturesque) view of Virginia Beach’s coastline. At the southern point of the oceanfront, you’ll find Rudee Inlet Parasail & Water Sports, and this should be your starting point. As the rope loosens, raising you higher and higher into the sky, you’ll be able to see the entirety of Resort Beach, the famous Virginia Beach Boardwalk, and the city’s waterfront skyline. That is, if you can stop focusing on the fact that you’re being held up by a sheet of fabric with your legs hanging freely below you. Museum tour? So many checks. Brewery tour? Check. Oyster farm tour? You probably haven’t done this one yet. 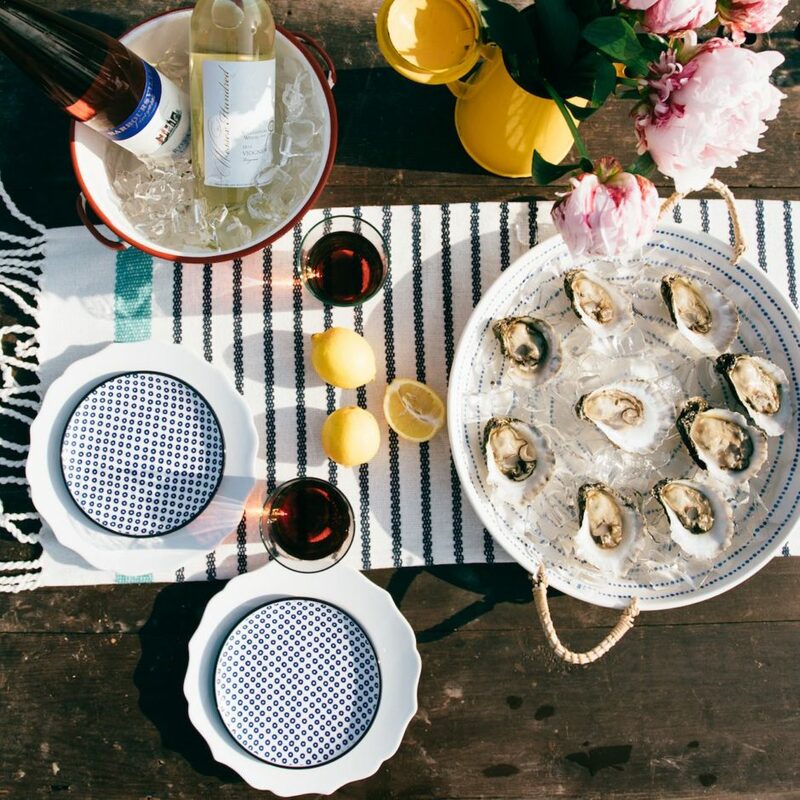 Virginia Beach likes to march to the beat of its own drum, and Pleasure House Oysters is behind the genius on this one — almost all year long they invite guests to embark on a bucket-list oyster boat tour you won’t find anywhere else. It begins with an educational session about the surprisingly complex history of Lynnhaven oysters, and then you’ll slide into some waders and taste some specimens freshly plucked from the water while learning about the harvesting process. And if you’re wondering what the heck a Lynnhaven oyster is, come find out for yourself what the fuss is about. Not only were they feasted on by the area’s early settlers — these bad boys are so highly coveted they’ve been served to US presidents. 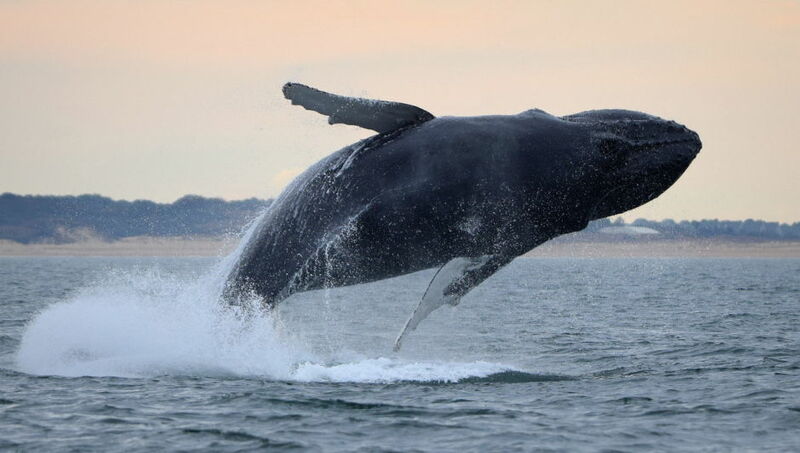 Rather than just sitting on the beach and witnessing a dolphin or whale fin breach the surface from several hundred yards away (though there is a time and a place), step aboard a dolphin or whale watching tour for an up-close-and-personal view of these majestic and friendly creatures. The Virginia Aquarium & Marine Science Center runs regular tours, as do operators like Rudee Flipper. Experienced boat staff will keep you entertained by doling out jokes and interesting marine facts that’ll help you realize you’re skimming the surface of an entirely different world. They’ll also offer tips on how to get the best possible photograph while on the tour — think dolphins cruising alongside you in the boat wake and whales throwing themselves into the air — so be sure to bring your camera. With offshore, nearshore, inshore, deep-, fly-, sport-, and just about every other kind of fishing charter running almost all year long, Rudee Tours offers all experience levels the chance to get on the water and reel ’em in. The highly experienced staff will supply everything you need to catch whatever’s on the menu that day, like stripers, tuna, and redfish. Cook it up or throw it back in — that part’s up to you. And you don’t necessarily have to go out on a motorized craft — there’s kayak fishing tours, too. First Landing Kayak Fishing Services takes you out (with a guide) on the historic waters near First Landing State Park, where colonists arrived prior to setting up Jamestown. Pro tip: Pick an early morning tour to witness the sunrise as you cast your line. And once you have your catch (between December and February, that is), take it to Rudee’s On the Inlet and have them cook it up for you — it’s a quintessential (and delicious) Virginia Beach experience.